Set of 43 images (ISO 400, 34 sec., at f/2.8) taken over 25 minutes and stacked during post-processing to create star trails. The purple and light green hues are from an auroral event on June 8th, 2014. The foreground was lit by a near setting ½ moon. 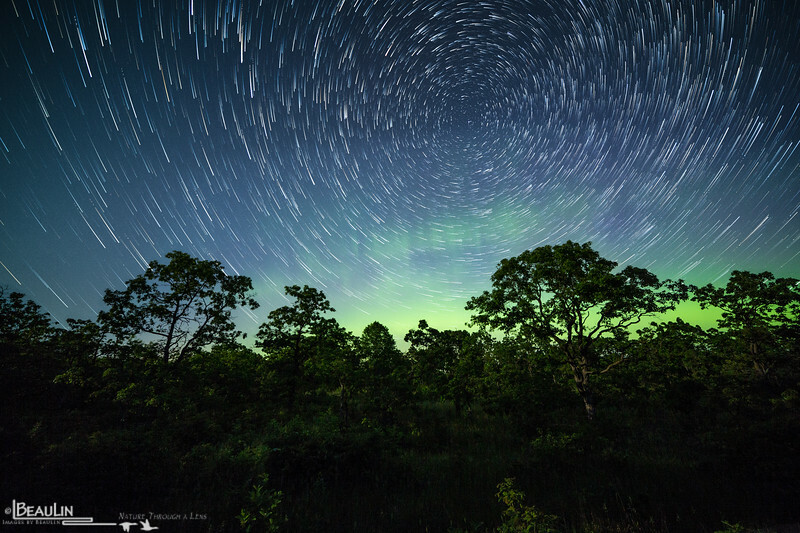 Using creative selection and masking techniques I blended one of the first images so that the best aurorae during the set would show through the star trails. Taken at a restored bur oak savanna on a central Minnesota wildlife management area near Buckman.